A whole-food, plant-based supported lifestyle! Do You Want to Know the Best Kept Secret to Keep You Young, Healthy and Vibrant AND Your Kids Happy, Healthy and Well-Behaved? Discover the proven plan humans were meant to follow without a complicated learning curve. Discover a vibrant diet and lifestyle based on plants. Ditch the foods made in a plant and get back to your roots with a wholesome, natural plant-based diet. Get support and have FUN experimenting with different plant based food combinations. Feel lighter, happier and less groggy. Live the healthiest life possible. Take responsibility and inspired action for your health and your family’s. Feel better now than you did in your 20’s? Spend less money on medical care so you have more money for vacations? Get more nutritional bang for your buck? Actually ENJOY living a healthy lifestyle? Lose weight as a side effect? Have skyrocketing energy levels so you can actually thrive-not just survive the day with your kids? Radically improve your skin tone and reduce the signs of aging? Say goodby to premature wrinkles! Have children with improved attention, concentration and behavior? Have children who are much less likely to suffer from asthma, eczema, obesity, diabetes, and learning disorders? As a Certified Health Coach, I have studied and implemented countless dietary theories and ways of eating. Low carb, high carb, low fat, high fat, vegetarian, vegan, paleo, keto, elimination diets, Adkins, South Beach, Fat for Fuel- I’ve tried them all. And I experienced some temporary health gains. But none of the diets were sustainable and none of them provided all the health benefits I was desperately seeking for me and my family. I finally discovered the diet that revolutionized my health and my lifestyle. What I love most about this way of eating is it is not all or nothing. It is not super restrictive. There is no calorie counting involved or strict measuring of portion sizes (yeah for those of us who are mathematically challenged). You can slowly transition, making remarkable health gains along the way. 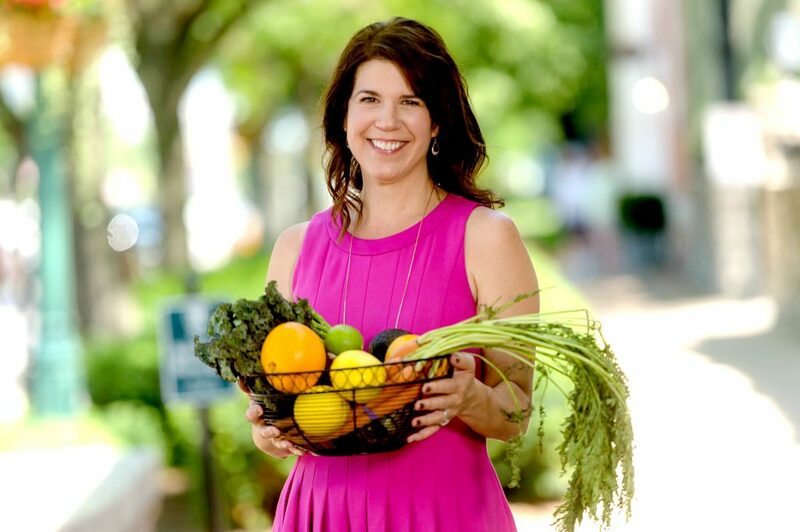 A whole-food and plant-based can be daunting, but with PURE you’ll receive ongoing support from an experienced health coach and a physician-approved program to ensure a fun, easy to follow, successful transition. You’ll learn exactly what to eat and how to prepare it with kitchen tips, delicious recipes that your family will love, shopping lists, meal plans, and more. You’ll have a team of healthcare providers and an experienced health coach to support you through the highs and lows with accountability, meal plans, grocery lists, and more. PURE was created to ensure a smooth, easy transition to a healthy plant-based lifestyle. With this program, you’ll receive everything you need for success, from the education to shopping lists, meal plans and step-by- step guidance. Forget all about restrictive diets! PURE is a lifestyle change that replaces processed, refined products with wholesome, nourishing foods. It’s simple, when you eat better, you feel better. Your health coach has the experience and expertise to keep you focused, boost your confidence and motivation, answer any questions you might have, and keep you on the path to a better you. With the PURE program, you’ll find that a plant-based menu doesn’t have to be bland or boring. You’ll have fun in the kitchen with your family and enjoy delicious, flavorful meals that will satisfy any palette. This program will teach you how to make SMART goals, answer common questions about a plant-based lifestyle, how to deal with unsupportive friends, family, and coworkers, new kitchen tips, and more. You’ll have fun, while you learn. You’ll know exactly what you should be adding in and what you should steer clear of. You will learn how to prepare foods, stock your kitchen and you’ll even know what you can alternate to truly enjoy your meals. New foods to add to each week. As a health coach, I do things differently. I’m not focused on making money for a large corporation. My mission is to help YOU live your most healthy and vibrant life so you can take care of what matters most- your family. The PURE program will do exactly that. Over 12 weeks you will begin to build habits you can keep for life. You have the option of three program levels, based on your individual needs. Each program option below will deliver the benefits I listed above – the difference is the amount of personal attention you enjoy while on your journey. Choose from Silver, Gold, or Platinum. You were raised in a meat and potatoes family (meat, potatoes and the occasional canned vegetable is what I grew up on). You are a busy mom with active kids. You are eating a typical American diet, supplementing with vitamins and pharmaceuticals. You, your husband or children have a health concern. The foods you love are making you sick and fat. You are tired of all the outdated, unsubstantial, confusing and pseudo science health claims out there. You are tired of the contradictory theories promoted by self-proclaimed nutritional gurus. You want to age gracefully and enjoy vibrant health while raising your kids. You want to confidently feed and nourish your family with an evidence based diet. You want to be a prisoner in a broken down body. You don’t want vibrant energy and mental clarity. You want to raise your kids on processed junk food, shortening their lifespan. You want to age quickly and suffer from a number of chronic diseases. You want to be dependent on pharmaceutical medications for life. This life-saving change is easy when you have step-by-step guidance. Sign up for the program, take control of your health and your life. You can do this. I know you can. And I will be here to help you, every step of the way. P.S. If you’re still not sure about this program, that’s okay! I’m here to answer any questions you have. Visit my Facebook page and post your questions on the wall, and I will answer you there. I answer questions on Facebook because if you’re thinking about it, someone else is, too! And I want to be sure the answers are there for anyone that’s interested and might be scared to reach out. So you’re not only helping yourself, you’re helping others to get healthier and happier with their lives – how cool is that!? !